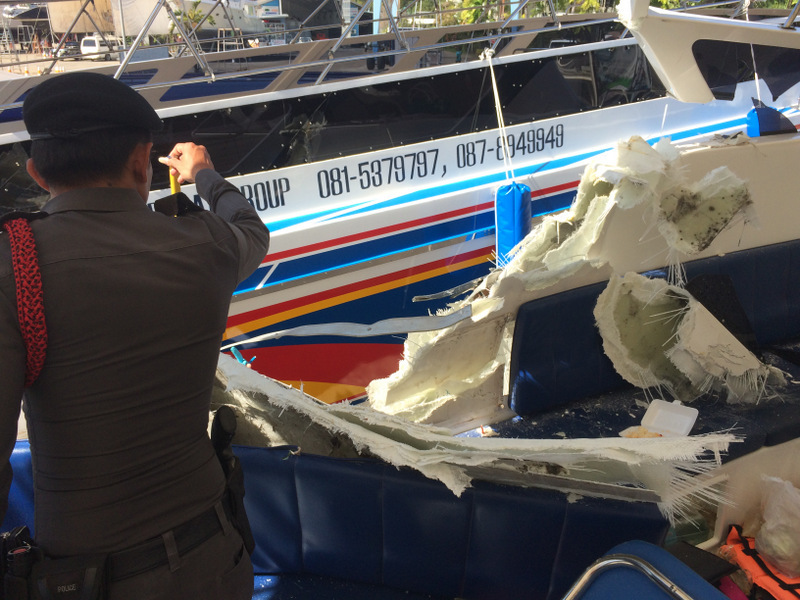 PHUKET: Officials from the Phuket Marine Office today identified high speed as a critical factor in the collision of two speedboats off Phuket’s east coast yesterday (Jan 16) and confirmed they will seek to have the two drivers face charges for their actions in the accident. 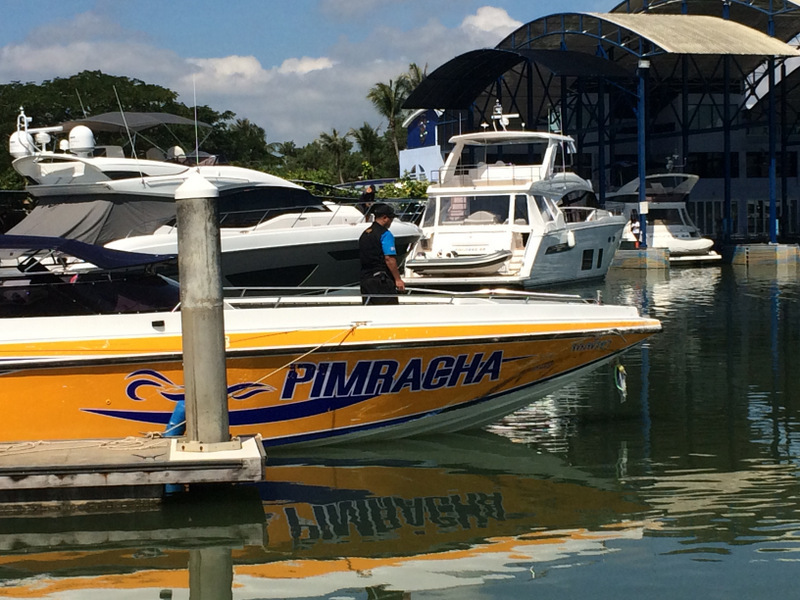 According to a report by the Phuket Marine Office, the speedboat Pimracha was exiting the access canal that leads to Royal Phuket Marina at a speed of 18 knots, while the Satakamon 333, fully laden with the Italian tourists on board, was approaching the canal entrance at 25 knots. “The Pimracha’s captain veered left in order to quickly slow down while the Satakamon 333 turned right also to slow down. Then both speedboats collided about 600 metres from the entrance to the canal,” the report said. The Pimracha struck the Satakamon 333 broadside, tearing a gaping hole in the boat’s side. Although the impact was well above the waterline, the damage done was at the same level where tourists sit inside the boat. 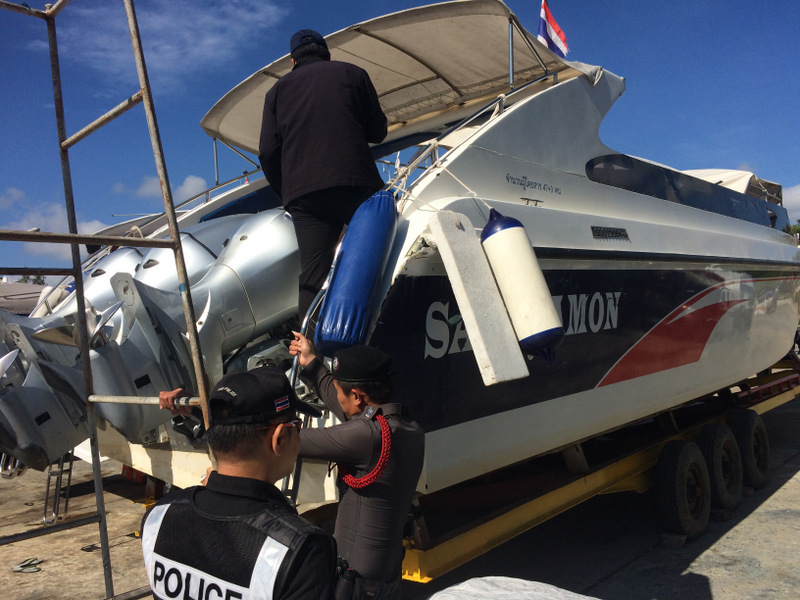 The Satakamon 333 is registered in Phuket by Satakamon Marine Co and the Pimracha is registered in Phuket by Pathiew Phuket Co, the Marine Office noted. 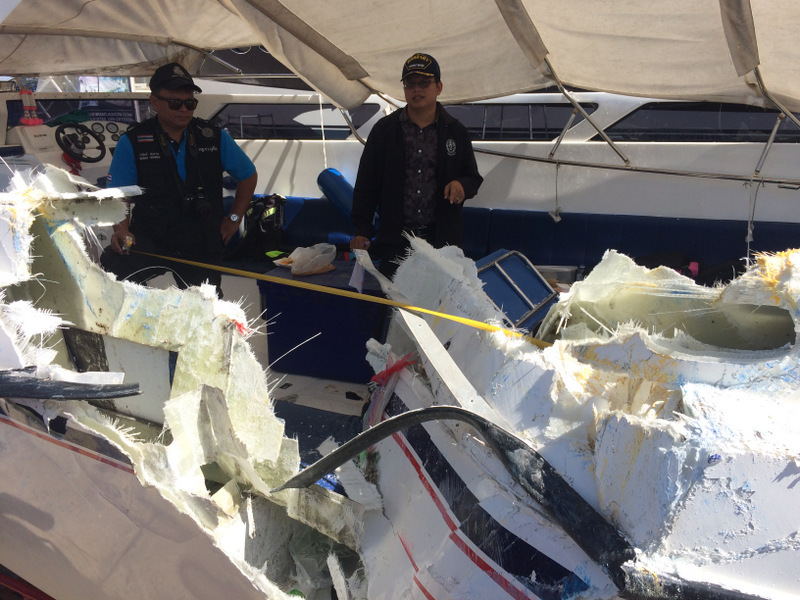 One Phuket Marine Office official who asked not to be named told The Phuket News, “The cause of accident was the speed of the boats. We are waiting for police to conclude their investigation, then we will press charges via Phuket City Police against both boat drivers for their reckless action leading to the harm of others. “First, they will be charged with operating a boat at excessive speed in a speed-restricted area, which is a maximum fine of B2,000. But they also have their boat operator’s license suspended,” the official. Meanwhile, the Phuket Tourist Assistance Centre (TAC) today confirmed that all of the injured Italian tourists were discharged from hospital this afternoon and boarded the Costa Victoria cruise ship on which they arrived in Phuket to continue their holiday. “All the Italian tourists’ are better and left Siriroj International Hospital this afternoon,” Pattarawadee Thambua, head of Phuket TAC, told The Phuket News. “The last tourist to be discharged from hospital, Mr Desando Luigi Gino, 52, left the hospital at 1pm today,” she said. “The tourists wanted to be discharged so they could continue their adventure trip on the Costa cruise this evening,” she added. The Costa Victoria, which was at anchor in Patong Bay, was to depart Phuket waters this evening to return to its current home port of Singapore. Ms Pattarawadee noted that the Thai guide injured in the collision, Muhammad Rusadee Toperoa, 53, had also recovered well from his injuries to his chest and right hand. 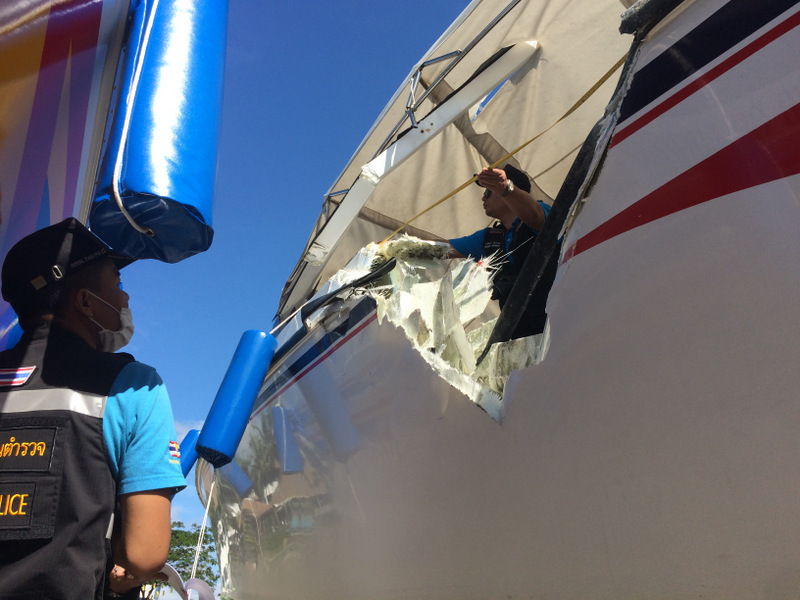 However, the Thai crewman injured in the accident, Wijit Kerdsap, 44, is still at Vachira Phuket Hospital, she added. “He is still recovering from back pain and injuries to his face and a cut wound behind his ear,” Ms Pattarawadee said. The tour company the Italian tourists were travelling with has provided insurance payouts to the tourists injured in the collision, Ms Pattarawadee added. “Siam Adventure World Co Ltd provided insurance payouts B500,000 for the accident, has been provided to the tourists already,” she explained. 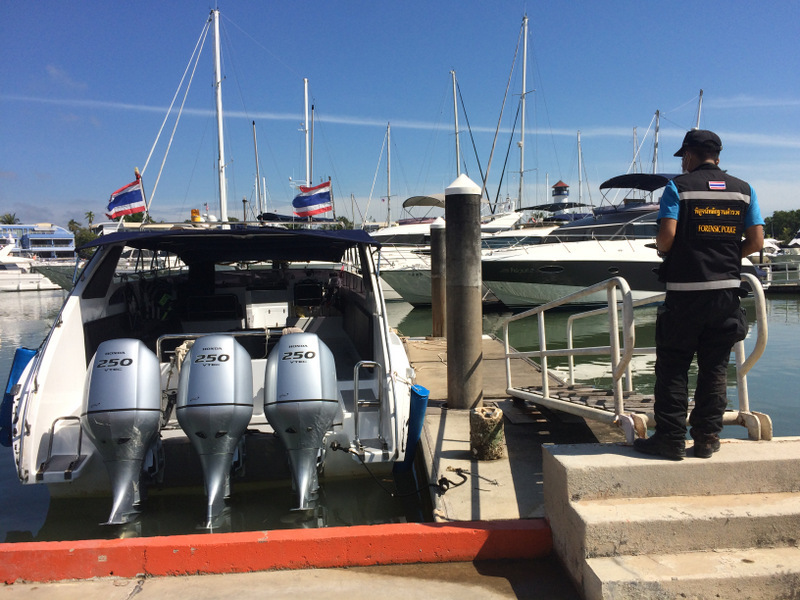 Apart from a vast improvement in Navigation Skills being required, the best thing the Thai Government could do is ban all future vessel surveyed new builds with Petrol/Gasoline Inboards / Outboards where fare paying passengers are to be carried. At least that way the Fire Risk will be mostly eliminated. Its good to know that the Marine Department has recently cracked down on proper life-jackets. Hopefully both "Captains?" were blood tested immediately after the collision for meta-amphetamine abuse. "Oh, we can't have that, no insurance cover". Maybe neither Captain purposely "veered" to Port or Starboard (left or right). 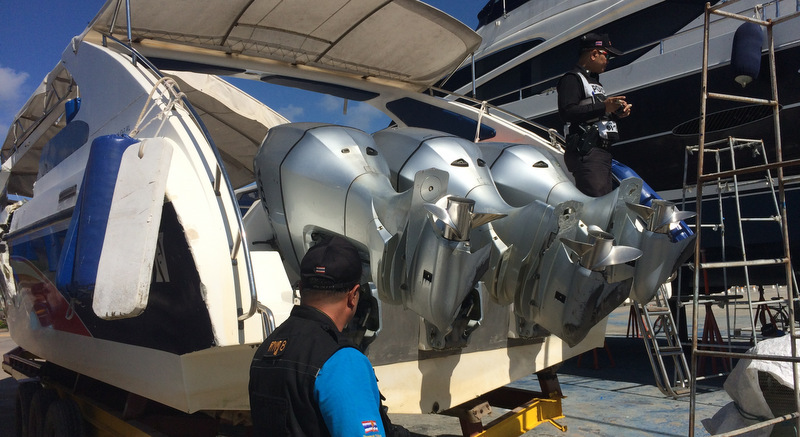 Throttling back quickly on a vessel with 3 x Wiz Bang Outboards will tend to have a course altering effect on a vessel's steerage. Sooner or later, 40+ tourists will get killed in one hit. Things will then change for the better as far as Marine Safety goes. International rules of the road (COLREG) demand that Pimracha turn to starboard, never to port and therefore is at fault.